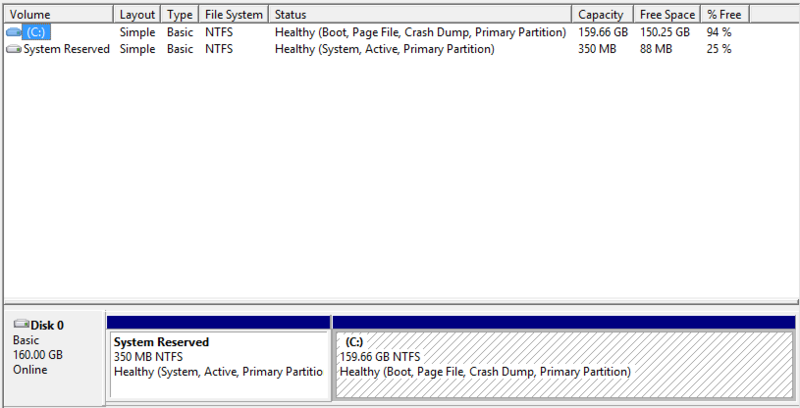 I just installed Windows Server 2012 R2 on a 160GB Droplet, and expanded the existing Windows drive to 160GB. No problems here. After that, I attached an additional 140 GB Volume to that droplet. Powered off and powered on. When I check Admin > Disk Management, the additional volume isn't shown in Windows. Q1) How do I get the additional volume to show up? Q2) Is it possible to extend the existing 160GB partition to the new volume (thus ending up with a C: that is 300GB large)? Unfortunately we haven't done any work to date on mounting DO's additional storage options. I will add it to our roadmap.